Tag Archives for " Marcus Guido "
Putting a small business on the social media map involves using data to pinpoint and engage specific audiences with appropriate content. But how do you find the right social media analytics suite to collect this data? Among the options on the market, the one you choose should accurately track the metrics you value while delivering insights to help refine your strategy. Social Mention acts as a search engine with social media metrics features. The tool generates results pages based on your search term, displaying and analyzing user-generated content from more than 100 platforms. 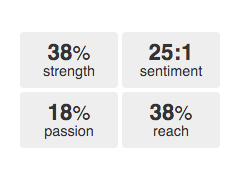 Like many other social media metrics platforms, Social Mention analyzes this information in real-time. But it also collects data that’s up to a month old. This means you can use the tool to study recent campaigns you missed tracking. Small businesses can benefit from Social Mention’s price. It’s free, allowing you to dedicate a chunk of your marketing spend to other activities. Keyhole measures brand and campaign impact on Twitter and Instagram. The platform does this by tracking real-time and historical data around URLs, hashtags and keyphrases you input. The amount of data you can collect varies between price tiers. But the tool’s basic plan still offers all of its analytics features. You can view the data in a shareable and printable dashboard, made up of graphs, timelines and other metrics visualizations. Small business marketers can capitalize on Keyhole’s word cloud – keywords and hashtags frequently used with your tracked term – to expand reach. By adding a phrase or two to your posts, audience members should have an easier time finding your social content. 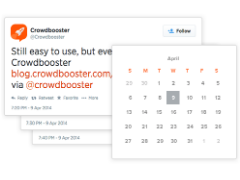 Crowdbooster tracks real-time and historical data for Twitter profiles and Facebook pages. Also a platform for creating and scheduling posts, you can share the dashboard with clients and colleagues. 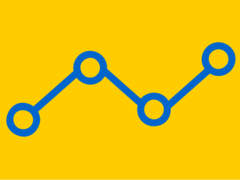 the same analytics features and export your data to Excel. Small business marketers can regularly adjust and improve their social media tactics by using Crowdbooster’s weekly performance email. In a recap of your activity, the platform makes posting recommendations by analyzing the data it collects. quintly quantifies the strength of pages and profiles on social media platforms such as Facebook, Twitter and LinkedIn. 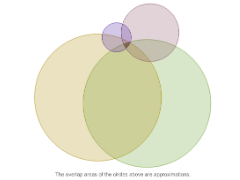 It illustrates data through maps, graphs and charts as you select accounts to monitor. Each price tier gives you unlimited data, plus features such as data exportation to Excel and PowerPoint. The plans are mainly divided by how many profiles you can track. Small business marketers stand to benefit by using quintly to study other companies. The tool lets you track your accounts alongside those of rivals and role models. You can guide social growth by adopting the most effective tactics in your niche. Google Analytics isn’t a pure social media analytics platform, but offers value by examining how social activity affects your overall web presence. Google Analytics offers all of this data in its free plan. different channels. Found under Conversions > Multi-Channel Funnels, it’s especially useful for determining how much time you should spend on social media in relation to other marketing activities. 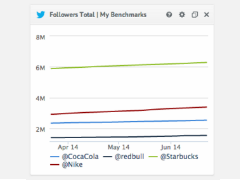 These five social media analytics tools each prioritize different metrics and present them in unique ways. Depending on your needs, one should stand out as an option to measure and inform your social strategy. Marcus Guido is a Content Marketing Specialist at Keyhole, a social media analytics software service that monitors trends and campaigns by tracking keywords and hashtags. Before joining, he worked at another software startup and two marketing agencies that served small- and medium-sized businesses. Follow him, and Keyhole, on Twitter: @keyholeco. It’s a problem almost every marketer has dealt with: opening their analytics suite to face a mind-boggling pool of stats, graphs, and figures. And which numbers should a small business track to get the most out of its investment in digital marketing? Any company looking to make a name for itself online should focus on this metric as it’s generally the highest source of web traffic. 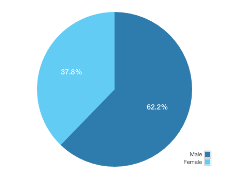 Organic search accounts for 64% of all website visits, according to a 2014 Conductor study. Depending on your industry, earning high search rankings can take anywhere from a few weeks to a few years. But since many small businesses target specific niches, you can quickly earn results by creating engaging content that uses relevant keywords. Referral traffic is valued by almost all organizations, but it’s especially important for small business marketers. That’s because it shows if you’re meeting your key audience’s needs. To boost referral traffic, actively promote your website and content beyond standard social media activity. Reach out industry blogs, asking to guest post. Include a link to your website in your author bio. You should also pitch stories, or offer up the head of your business as an interview source, to news publications. People bounce off your page when they’re not interested in what it says. Instead of interacting with your website, they close the window or hit the back button. So, how can you help this metric trend upward? First off, search Google for the keyphrase one of your pages is targeting. You can see what your market wants to learn about based on the first set of results. Edit your content accordingly. For good measure, include an enticing call-to-action (CTA) to guide visitors to another part of your website. 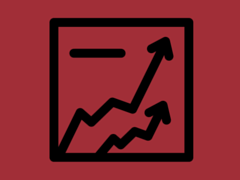 Visitor growth is a broad metric, but one that’s important for any business – it gives an overall picture of how your online presence is developing by tracking organic, non-organic and referral traffic. Based on how this growth rate trends, you can set goals and take action to (a) prevent an anticipated drop or (b) increase a potential traffic boost. 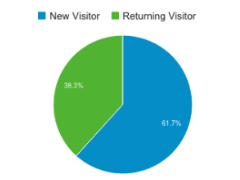 You can also divide visitor growth into new and returning visitors. A hike in new visitors typically means you’ve earned more referrals and have written enticing headlines. An increase in returning visitors usually coincides with a low bounce rate, meaning your content is informative enough secure a dedicated audience. Conversions may be the single most important SEO metric for small business marketers. What’s the point in drawing people to your website if they don’t do anything meaningful once they’re on it? Plus, a lack of activity can make or break a sufficient marketing spend for companies with limited resources. Set goals that coincide with your company’s overall business strategy to create conversion points on your website. If you need to increase leads, make a form for visitors to book a phone meeting. Then, create content and paths on your website that point to it. As you’re faced with an overwhelming amount of SEO metrics, think about prioritizing these five statistics when marketing a small business. All key indicators of online performance, they should help you set realistic goals and track important benchmarks.